We spent the summer hard at work upgrading your favorite theater! 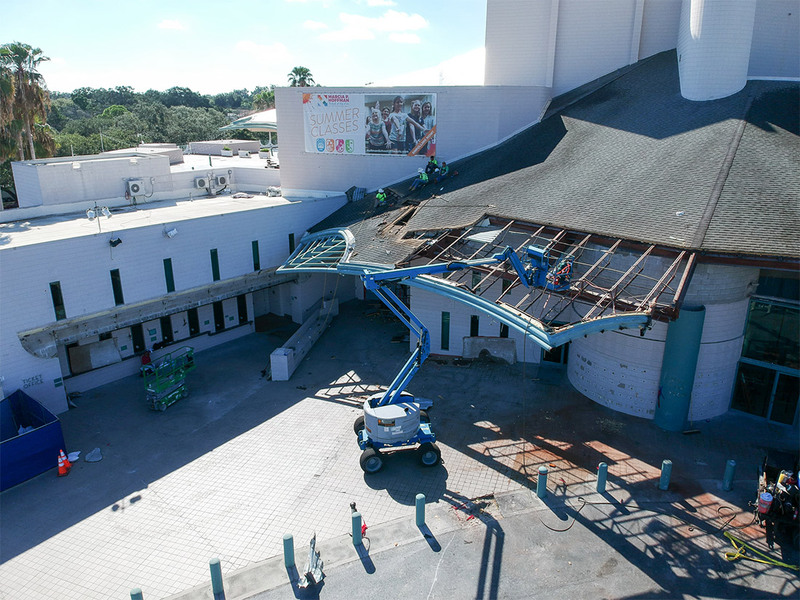 Thanks to our generous Capital Campaign donors, Ruth Eckerd Hall’s facelift is underway! 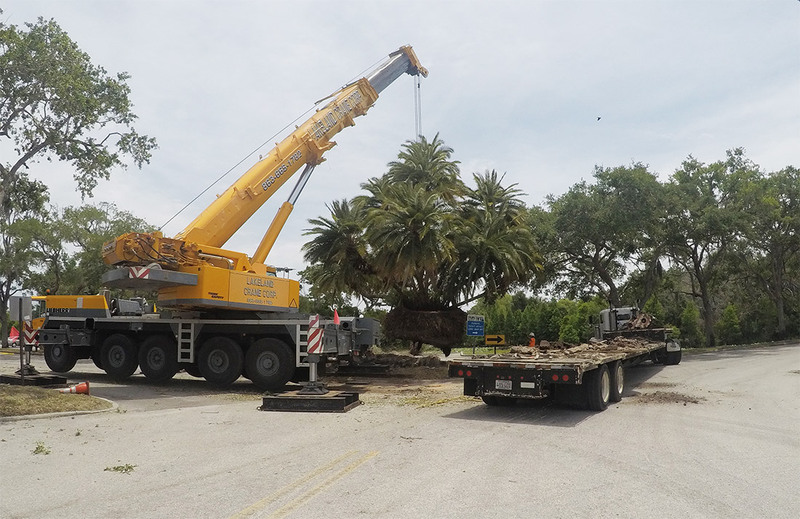 We relocated a 66,000 pound palm tree that was in front of the main entrance, to make room for our new, expanded theater. The palm tree is now happily settled and thriving next to our Alligator Lake, providing shade for local wildlife. Currently, our main entrance and west lobby is closed off. The façade is down to make room for a grand entryway! We’re creating an outdoor oasis of the arts, including the improved, covered Raymond James Financial Ticket Office, where patrons can enjoy beautiful Florida weather before doors open. Students from the Marcia P. Hoffman School of the Arts will perform on an outdoor stage in the England Family Welcome Pavilion, greeting people as they approach the arrival plaza via our new, expanded roadway. 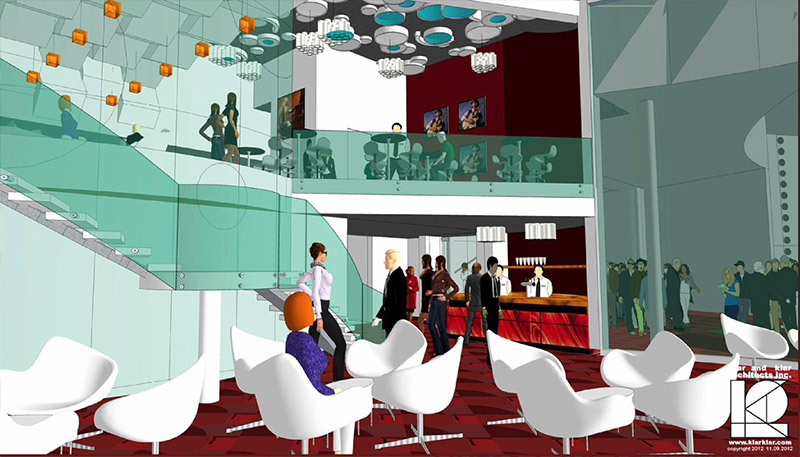 Soon patrons will be able to enjoy pre show refreshments in a floor-to-ceiling glassed-in lobby! This space is expanding from 1,000 to 6,000 feet. Our new atrium will include the Kate Tiedemann and Ellen Cotton Cabaret Theatre with the Holt Family Stage, where students from the Hoffman will have the opportunity to perform in front of hundreds of audiences annually. This intimate space will be an extension of our education programs in a world-class setting. None of this would be possible without the support of our wonderful donors! 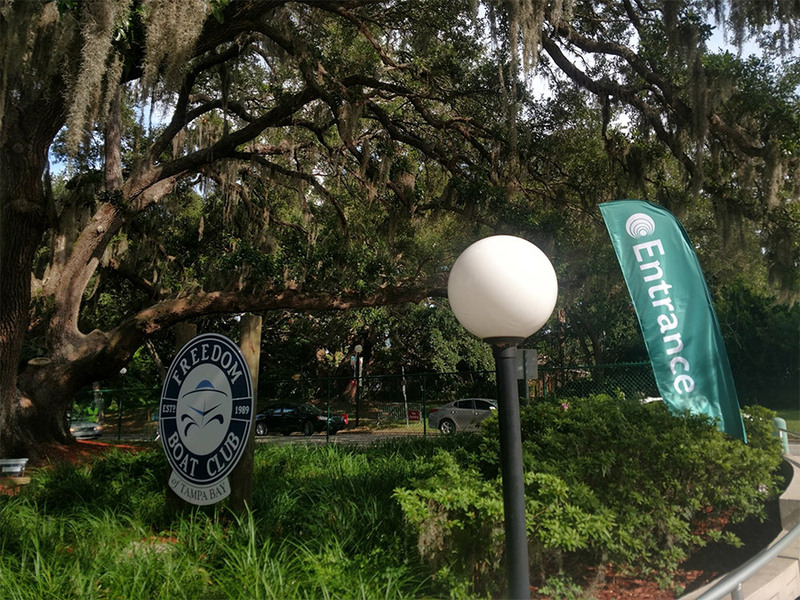 While we are under construction, entrance to the theater will be on the east side, through The Freedom Boat Club Landing, which opens two hours before performances. Come early to enjoy snacks and local entertainment. The main ticket office will close two hours prior to show time and our temporary ticket office booth, located next to the east entrance, will be open for will call and sales. Circle of Star members have their own private entrance on the east side of the theater, leading directly to the temporary Dress Circle Lounge with private bar service. This sophisticatedly furnished space will be open until the new Dress Circle Lounge is complete. Our members will experience a new level of pre-show hospitality when the size of the Dress Circle Lounge doubles. The downstairs level will have floor-to-ceiling glass walls that provide views into the grand lobby and entertainment. The lounge will feature a custom-made colored glass sculpture naming major campaign donors who helped make these renovations to Ruth Eckerd Hall a reality. Check out everything the Expanding the Ruth Eckerd Hall Experience will offer! We look forward to seeing you at a show soon! If you have any questions during the construction, or want to learn about how you can be a part of creating this cultural arts legacy in Clearwater, contact Meagan Heller at 727-724-5351 / mheller@rutheckerdhall.net. Make sure to follow us on social media for sneak peeks of our redevelopment experience. Thank you for building the new, reimagined, Ruth Eckerd Hall Experience with us!